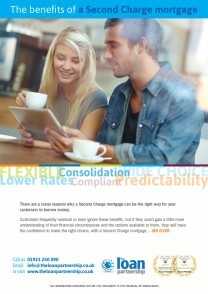 A great deal has changed in the last few years with Second Charge mortgages and finance generally. There are a lot of Introducers and brokers working hard to maintain the highest standards and keep up to date with changes to products and legislation. For example, now that Second Charge mortgages are being treated in the same way as First Charge mortgages, advisors offering Second Charge mortgages are covered by FCA regulations and are required to meet the same compliance standards as a First Charge mortgage, especially in relation to advice. At The Loan Partnership we like to keep informed of any such changes that may affect the way we do business, and therefore how we work with our introducers and your customers. For this reason we have gathered useful documentation together and set up the Info Zone, providing information that is free to download. Avoiding Second Charge mortgages isn’t an option, because under TCF guidelines a customer must be offered a Second Charge mortgage, if the alternatives mean they could be financially worse off – for example by changing their mortgage arrangement. Take a look at our Customer Case Studies download (below) which explains why a Second Charge mortgage is often the right decision instead of changing a customer’s mortgage deal. Our understanding of compliance strengthens the quality and reliability of the service we provide to customers. 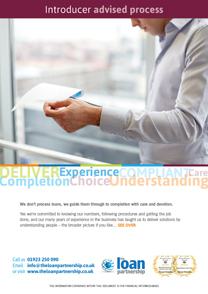 At The Loan Partnership, our procedures are designed with accuracy, efficiency and compliance in mind.